It is the monsoons and Belagavi is surrounded by natures bounty and many seasonal water falls make an eyes delight. Such one is Chikhale Falls near Chikale village which is about 40 kms from Belagavi. Chikhale Falls near Chikale village which is about 40 kms from Belagavi. From there another 3 kms is Chikhale village. 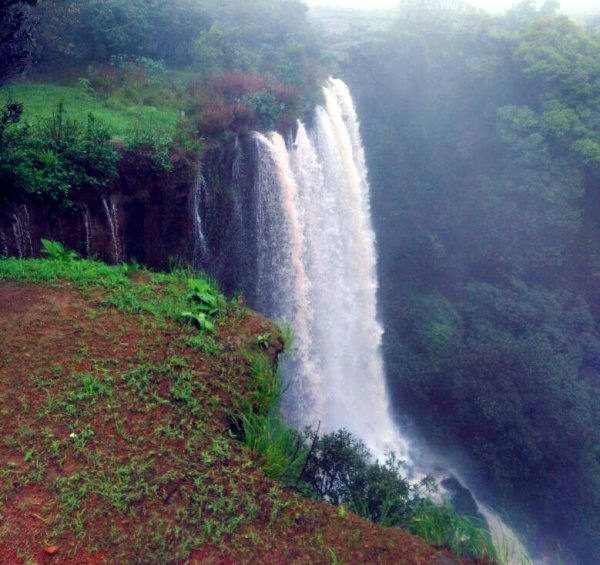 After about 500 mtrs park your vehicle and then trek for about 2.5 kms to reach the spot from where the Chikale falls is visible. There also another route which requires great amount of trekking i.e. from Parwad. 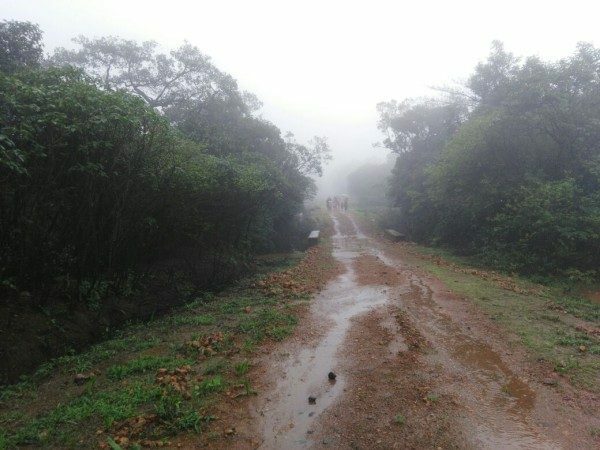 The trek which is fairly easy is stunning along with the fog and beautiful landscape. After the trek the roaring sound of the falling water and the sight there after will make you forget all the hardships you faced to reach up there. Is it safe for ladies to visit this falls?? Is it safe place for ladies.Whether is it open for public to see the waterfalls now a days? Is it good to visit in february? Is chikale open now? I heard there have been some developments recently. Do help. Pandit , nice information , whether food has to be ordered in advance at guruprasad ? nice article, its basically a trail. not a difficult one at all. now even the vehicle reaches the spot. but avoid vehicles. walk from the village itself . there are leaches so carry tobacco or a reli spray . At Jamboti do eat chicken thali at GURUPRASAD HOTEL, Its a local hotel but you will love its taste..